Choosing a good electrician isn’t as easy as opening the Yellow Pages and pointing a finger. You really need to do your homework. If you choose the wrong contractor it can be financially devastating and even dangerous. Every electrical contractor in Fremont must be licensed, but there are several different licenses out there. So, when you first start looking and asking if a contractor is licensed, bonded and has liability insurance, you need to make sure that the electrician is licensed for the type of work that you are looking for. The best place to start answering some of these questions is at the Board of Examiners of Electrical Contractors and / or the Division of Consumer Affairs (basically the Authority having Jurisdiction), and of course, the Better Business Bureau. Then, after your preliminary questions have been answered, ask the prospective Fremont electrician if he can provide you with references. This is extremely important because references can give you information about the intangibles that often make the difference between one contractor and the next. You’ll find out about their expertise, honesty, integrity, reputation and willingness to work with customers. 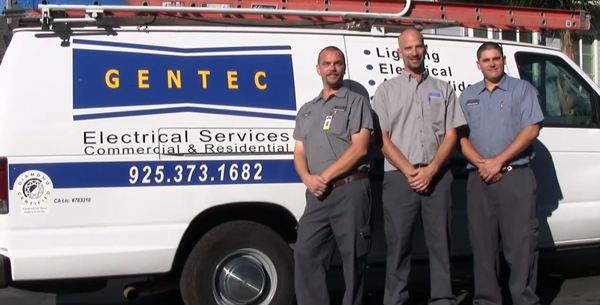 At GENTEC Services, our outstanding professional staff is comprised of highly trained Fremont electricians, recruited for their particular expertise, integrity and commitment to excellence. We are BBB accredited and have an outstanding customer service record. 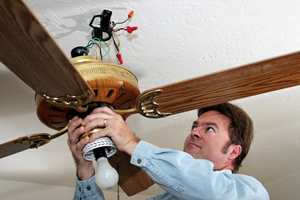 By choosing our electrical service you are assured of receiving top notch electrical service from the best contractors in the entire area. We offer comprehensive services that include everything from installing new outlets, dimmer switches and light fixtures to full rewiring and additional 220V service. Call us today and let one of our friendly secretarial staff set up an in home appointment to handle whatever issue you may currently have.